“Through its deal with Universal, Hasbro has the rights to develop a wide variety of toys including action figures, plush, dolls, playsets, vehicles, role play, games, KRE-O branded building sets and novelty items. Jurassic Park Kre-O? Now that sounds promising. We’ll have more info as it becomes available. I was originally going to use this image for the news story. Any chance we can get confirmation if this is going to be based on existing GI Joe tooling? I wouldnt mind movie based characters, more than those Joes that were leaked from china. Use Joe parts, but making movie characters. 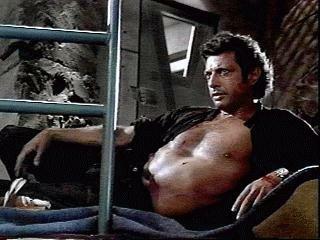 It would be cool to get Dr Alan Grant, Dr Ellie Satler, John Hammond, Dr Ian Malcolm, Robert Muldoon, Denis Nedry, etc. I think Hasbro have some good Joe parts nowadays to make these characters look great. They made an Alan grant figure for the JP3 line that was a really good likeness of Sam Neill. I bought one and tried to splice the head onto a custom body made from GI Joe parts, but my rotary tool skills were undeveloped at the time, and my hand slipped, ruining the face. I was pissed, and ditched the project. Here's hoping the new line of toys provides renewed opportunities. I would really like action figures of all the characters, even Lex. I might buy Mouse from GI Joe Retaliation just to have a Timmy figure, even if he is an adult. He could be an older Timmy. But seriously, I don't care what they do with the humans. They can be jello molds. As long as the dinosaur toys are at least as good as they were for JP1 and Lost World, and not awful like the JPIII toys were. To this day the JP and Lost World toys are still the best line of dinosaur action figures ever made. And that's kinda sad. Not because they were bad (They weren't), but that since the mid ninties, no one has tried to do better. Lets go back to a sense of scale. 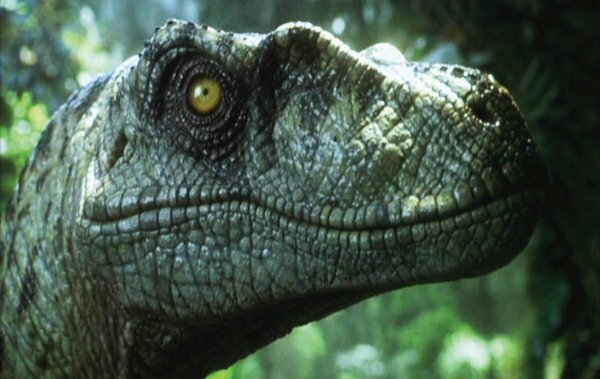 I know we'll never get Velociraptors that are truly in scale with others, and the scale of the original lines were atrocious... but they were much better than most. At least the animals were vaguely in scale with themselves and the humans (Unlike JPIII, which had the largest theropod known the exact same size as a velociraptor and a brachiosaur). So at least Kenner attempted scale, enough so that it was overlookable. But seriously, I don't care if they even do human action figures. No kid will really want them, so they may as well focus that money on making the dinosaurs better, instead of waisting it on guarenteed shelfwarmers. Look up Papo's dinosaur line. You may be blown away. Although not in any consistent scale, they are incredible. Their raptor, in particular, is scaled perfectly for 3.75" GI Joes. I have their t-rex, raptor, ankylosaurs, and styracosaurus; and will get their brachiosaurus, v-rex, and baby rex when the opportunity arises. 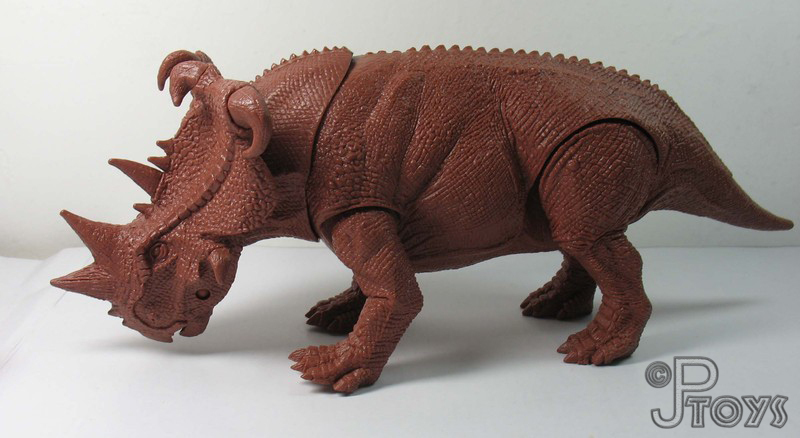 The styracosaurus looks a little screwy because he's in the middle of being repainted. I have to say that words cannot possibly express how excited I am for new JP toys, I was the biggest freaking dino nut when I was younger. I think the big dinosaurs should have limited articulation, due to how heavy they are. The rex should have a ball joint at the base of the skull, and another one at the base of the neck (where it meets the torso); the arms should have ball jointed shoulders, and hinged elbows. The legs should only be ball jointed at the hips, and non-articulated anywhere else, because those joints would wear out immediately due to the weigh. I don't mind if the tail is completely stiff, but if they want to give it articulation, it should have a ball joint at the base, where it meets the torso. Oh yeah, and most importantly, the jaw should open and close like Papo's t-rex. The smaller the dinosaur gets, the more liberal the articulation can be. However, I still think it would be awesome to have human characters! Blast what you guys think! See the guy stuck under the t-rex's neck in the first photo? That's my first attempt at custom making Muldoon. One more thing, the big dinosaurs should be made of the same soft vinyl that Bandai's Godzilla toys are made of. It would help a lot to make them lighter. FYI they actually have toys coming out this spring for JP3D exclusively @ TRU. I don't know why it wasn't mentioned by Hasbro in that interview, but yeah it is hitting in March. Action Figures - they gonna build joe scale for sure. Hasbro will love the limited articulation of dinosaurs probably. plush, dolls - big cuddly cute dinosaurs!! playsets - i think 1 big dino with a few humans is already a "playset" right? do we need a "t-rex eats donald in a toilet" or "triceratops makes a big crap" playset scene? vehicles - id love to see those SUVs from JP2 actually..
role play - yes give me a Dilophosaurus mask that actually spits! KREO - build your very own Jurassic park! then put in some what would probably look like robot looking dinosaurs. anyway hopefully something eventually comes out with the focus on the dinosaur figs. we need some savage land dinosaurs. or stand-ins for the weird star wars creatures. for the humans, i wouldnt mind if hasbro just repacked some of the jungle themed joes.. I know it's a long shot since it will be mainly a dino line with only some people, which is lame but I think it would be cool if they released a lot of human figures including army builders of JP staff and Ingen hunters as well as both both movie and book characters. Again I know I'll be lucky to get a full cast of the first movie let alone all the characters, but it never hurts to hope right? Thinking of Muldoon, the new Gi Joe Kwinn would make a great base for a JP Muldoon, the shorts and everything. I think the future of JP merch is a bright one. 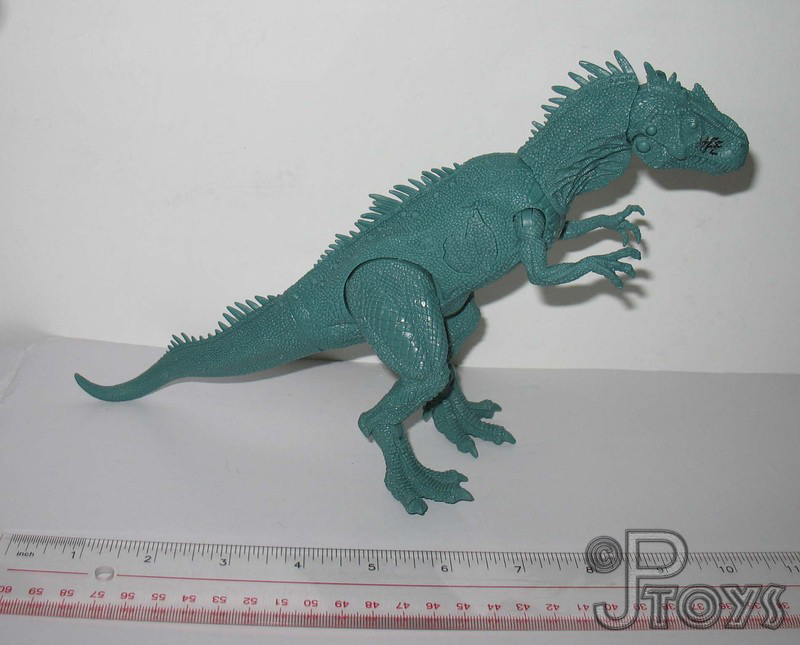 As an articulation fiend i would love to have some well articulated dinosaurs, but it seems that traditionally dino toys have had very limited articulation, if any at all. Still, Hasbro is no stranger to making figures with high degrees of poseability, so maybe they'll bring their A game when it comes to that part of the line. 5 poa just doesn't cut it for me anymore man. Kwinn's shorts are too flared. I put a lot of thought into it. That allosaur has pretty much perfect articulation. The neck and jaw are freaking ideal; and it has the perfect amount of leg articulation for its size - ankles and hips. But I really want a huge t-rex scaled for GI Joes with a lot of articulation like I described above. I wish they would stop with those stupid dinosaur injuries though. I've always hated that, even when I was small. Agreed that the articulation is amazing! But I can't agree on the Dino Damage.. I love it! Well, as long as its removable, I hated the permanent DD from JP3. Would LOVE a scaled version of dinosaurs, but it would be very hard to do. Velociraptor is about the size of a German Shepherd. T-rex is the size of a schoolbus. Trying to scale them, especially to 3.75in characters, would be insanely difficult... especially with larger beasts such as any of the sauropods, particularly giraffatitan (erroneously called Brachiosaurus in the JP movies). 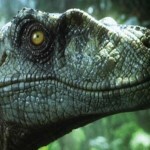 I'll be happy if they FINALLY have the velociraptors have the proper feather coating they should have had back in JP1. Feathers have been suggested for dromaeosaurs since the late 80's, and proven by the mid 90's... so it's about time hollywood catch up. Also, Velociraptor has an awesome looking skull... JP needs to ditch the generic therapod skull and use the actual animal, fully to scale. It's one thing to be torn apart by a giant beast like the raptors in the movie... but being overwhelmed by a pack of velociraptors the size of a large dog, only weighing 60 to 80lbs each, covered in down and feathers? CREEPY!!!! Your paintjobs are absolutely gorgeous, man! And yeah, I'm familier with Papo. They do great statues, but they're not toys (At least, in my eyes). I think technology has advanced a lot more than it was when the first two JP lines came out that the dinosaurs can have better range and support their own weight. Especially the quadropeds. But good lord, your paint jobs are pure artwork. I was 13 when JP came out. When I first saw the raptors (once I got over how amazing they looked on their own merrits, my first reaction was "Ugh. They don't have feathers." I never understood why they didn't use the Deinonychus, which, while smaller than the fictional JP Raptors with completely different heads, were much more compairable. Plus, they were actually found in north america, where Grant was looking for them. It'd be easier to buy the raptors in JP actually being Deinonychus, than Velociraptor. Also, glad to know that someone else has a realistic idea of velociraptor's proportions, and an equal appreciation for the power a dromae of that size had. 6 feet long is not the same thing as 6 feet tall, people! The brachs were actually Giraffatitans? That's a new tidbit for me (So congratulations to you!). I must admit I'm not terribly familier with the titanosaurid branch of the sauropod family. The reason they Crichton used velociraptor in the JP book was because when he was doing research on dinosaurs for JP in the early 80's, there was a push by a scientist to combine deinonychus with velociraptor, as members of the same genus, with velociraptor being the type species, having been discovered before deinonychus. Crichton never bothered to change that before the book went to print, so the movie carried it over as well. As for the brachiosaurs, yes, they are technically Giraffatitans. Back in 2008 or 2009, the scientific community FINALLY agreed, after several decades of arguing, that the brachiosaurs of Colorado and the Tanzania were two totally different, and unrelated species. In fact, the famous head that brachiosaurus has in all the pictures, movies, etc, is actually the Giraffatitan skull. The American Brachiosaur's skull was never found, until very recently when a museum was cataloging some old fossils and realized that a box of bones from the early 1900's, labeled as camarosaur, was actually a brachiosaur. The distinctive skull crest... not there... just a slightly raised bump, very similar to camarosaurs. When I first saw the raptors (once I got over how amazing they looked on their own merrits, my first reaction was "Ugh. They don't have feathers." I find it hard to believe you had this reaction about the feathers, since feathers on dinosaurs was hardly a widely publicized theory at the time - theropods were still commonly perceived as being reptilian. I'm not saying you're lying, it's just very unlikely that the public would have known about feathered dinosaurs at the time. I am also aware, and have been since shortly after the movie came out, that JP's raptors are all wrong, as are the t-rex, dilophosaurus, and brachiosaurus. The only dinosaurus the movie seems to have gotten right are triceratops and parasaurolophus. They did not get Parasaurolophus right. And it's debatable about triceratops (Especially given the massive house cleaning the ceratopsian family branch has gotten the past several years, with complete clades of famous animals being debunked, like Torosaurus). But for the real reason of my responce. I've been studying dinosaurs since before I could read. Since before I can remember. The only thing that has slowed me down about it is I my poor internet connection has stopped me dead in my tracks. I do not represent the public. In the early eighties I was already bitching about dinosaurs being portrayed as taildragging coldbloods. The deinonychus was my favorite dinosaur by the late eighties, when "the public" still thought there was such a thing as a "Brontosaurus." I knew more about dinosaurs when I was 8 than the "public" will ever know. Jack Horner and Bob Bakker were my heroes in the eighties. I'm offended by your assumption that it's unrealistic that I should not have known scientific knowledge as a child. And yes, that is an accusation that I'm lying. So stuff it. I said it's hard to believe, not impossible to believe. It wasn't accusation that you're lying. I was saying the likelihood of a member of the general public knowing about feathered dinosaurs was very low at the time, not non-existent. It's a really odd and offensive thing to say, how unlikely it is for someone to have knowledge of something they loved and studied just because it doesn't fit your perceptions of what I should or should not have been aware of back then. Whatever. I'm done with you. I was a dinosaur nut since I started reading at the age of 3. By 7 I was reading college-level books on dinosaurs, correcting my teachers and their 1960's view on dinosaurs, and was more knowledgeable in dinosaurs than 99.99% of the populace. In fact, as a teen, I went to the dinosaur quarry in Utah and corrected the tourguide. He wasn't thrilled, so he went to one of the paleontologists "on duty" and the paleontologist agreed with me. Tourguide apologized. So intelligence DOES happen in America.... we're just really good at hiding it behind Snookies and Charlie Sheens.